This patient sustained extensive pulmonary embolism, which is clearly seen on the CT angiography of pulmonary artery. What is more interesting in this case is the finding on chest radiograph. 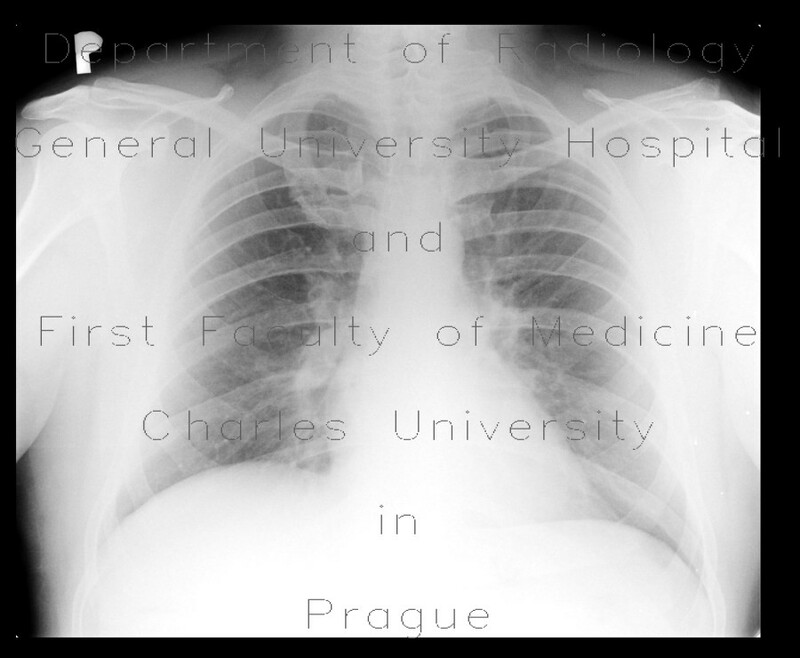 Although chest radiograph is insensitive to pulmonary embolism, there are signs that may point to it such as Westermark's sign, elevation of hemidiaphragm, effusion, Hampton's hump, and so called CT angiogram sign as seen in this patient - parts of the right truncus intermedius filled with thrombotic material are more transparent and there is an abrupt tapering of its bottom end.